I bought these from Dee Mak Jack late last Summer. Shot them in a couple of matches, and verified that I really prefer the Colt-Style action over Rugers. So, I'm putting them up for sale. 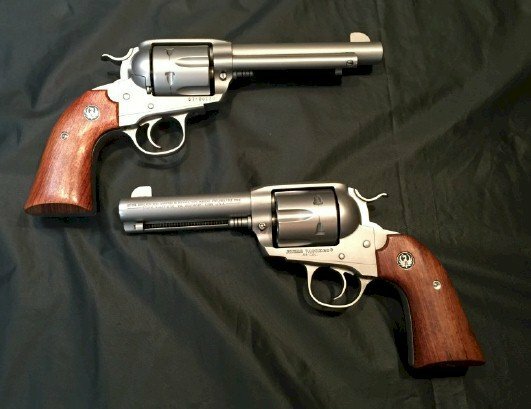 A nice lightly Brushed Stainless Steel Ruger Old Model Bisley Vaquero. Only modification is lightened main springs. new sass member #108530. 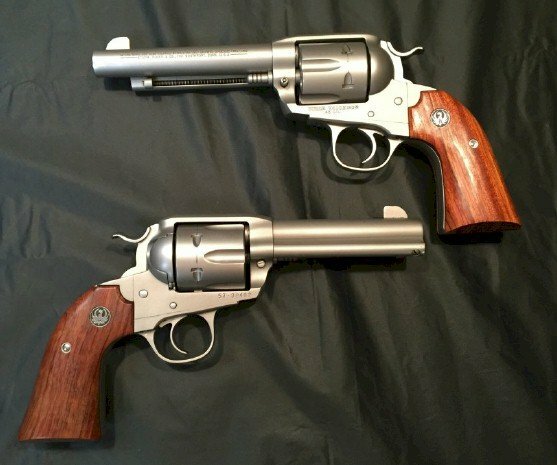 I am interested in the 5.5" barrel. what is the next step ? I am in Western Washington, so will have to ship to my FFL. I am off work today, so I can go get a money order or certified check whichever you prefer. This has sold on GunBroker. I forgot to get rid of this ad.